Costa Mesa eye doctor, Dr. Daniel Quon, OD of South Coast Optometry has been chosen as one of America’s Best Optometrists this year. Costa Mesa, California – Dr. Daniel E. Quon, O.D. 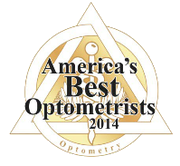 has been selected as one of the America’s Best Optometrists for 2014. Optometrists were selected based on training, experience, abundance of continuing education hours, and dedication to excellence. Selections were made by the National Consumer Advisory Board, an organization that identifies top professionals in their fields. The National Consumer Advisory Board accepts no fees, sponsorships, donations or advertising in their selection process. Only Optometrists that satisfy all of the board’s criteria qualify for this prestigious selection. Dr. Quon has practiced Optometry at 949 South Coast Drive, Suite 155, Costa Mesa, California 92626 for the past 9 years. He has been the chosen optometrist for many years by other health care providers to care for their eyes. Previously, he had practiced in the prestigious South Coast Plaza for 26 years. Dr. Quon is well-known for his leading edge eye care in addition to his cheerful manner, gentle touch and exceptional care. His services include examinations with the latest equipment, ultra-precise refractions, treatment of eye diseases with prescription eye drops (within his state laws), co-management of LASIK and cataracts, preventive eye care, recommendation of proper dietary habits for good ocular health, recommendation for ocular nutritional supplementations when needed, advanced contact lens fittings, having a large inventory of contact lenses, advanced eyeglass lens technology, utilizing his own expeditious onsite optical laboratory as well as having an exceptional inventory of designer frames, sunglasses and sport frames. South Coast Optometry is a full service optometric practice with an onsite optical. Located in Costa Mesa, CA, they provide advanced comprehensive eye care for all ages, and carry a wide range of fashionable eyewear.